The Waffle iron is an appliance with two hinged metal plates, molded to create honeycomb patterns we all know. A Waffle iron is the appliance we use for only one thing, making waffles, but this appliance has a few other menu ideas up its sleeves. Other dishes can be prepared with this appliance like sandwiches, French toast, chewy cookies, and hash browns. With the waffle iron, you are cooking ingredients directly over the heat, so no pans, grills, or sauce pans are necessary. Think no bake cooking with kids! Thanks to the direct heat source the cooking time is cut by half, as well as the cooling time, which is quite handy when you are hungry, having lack of time, or just want something sweet and you want it fast. Do you want some grilled cheese, or fast brownies? A Waffle iron is the only appliance you need and within no time your favorite meal will be served. 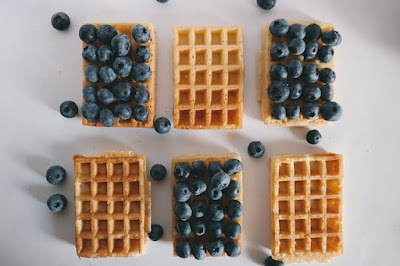 Another benefit of the waffle iron is that you do not have to wash big piles of dishes, or suffer with scrubbing browned bits. 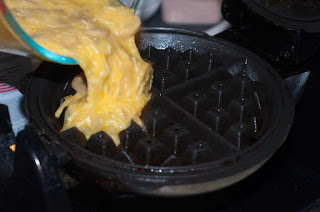 A big plus is the waffle iron is easy to clean, if you spray your waffle iron with a cooking oil or spray. Also look for a waffle iron with removable plates for easy clean-up. 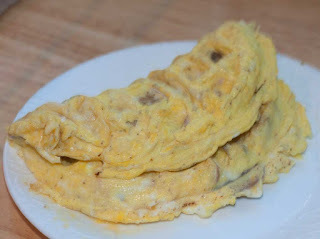 Try a Waffle iron to cook the perfect omelet or Spanish frittata. 1. Preheat your waffle iron and coat with cooking spray. 2. Crack the eggs in a bowl and beat with heavy cream, salt, and pepper. 3. Stir in the remaining ingredients and slowly pour the egg mixture onto the iron, not covering more than ¾ of iron. 4. Cook for 2 minutes and serve after. **Don't have time for brownies from scratch, prepare a brownie mix and pour batter into hot waffle iron. 1. In a bowl, combine all the dry ingredients, flour, cocoa, baking powder, almonds, brown sugar, and salt. 2. In a microwave, melt the coconut oil and chocolate until smooth. 3. Beat the eggs with applesauce, and melted chocolate. Fold the liquid ingredients into dry ones and stir until blended. 4. Heat the waffle iron and make sure to coat with cooking oil. 5. 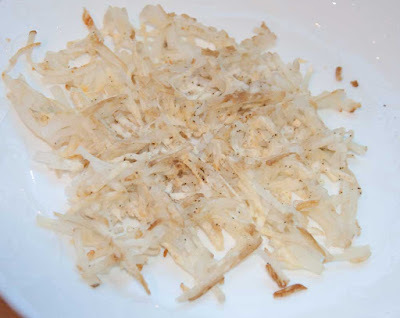 Drop the batter onto iron, making few small mounds and cook for 2 minutes. 6. Repeat with remaining batter and serve after. 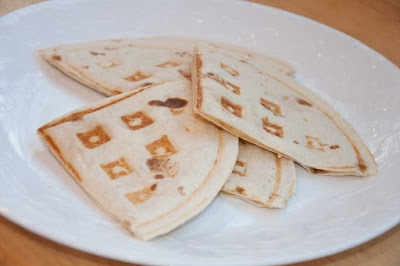 Lay a tortilla on a hot waffle, top with shredded cheese and other ingredients you'd like in your quesadilla. Top with another tortilla. 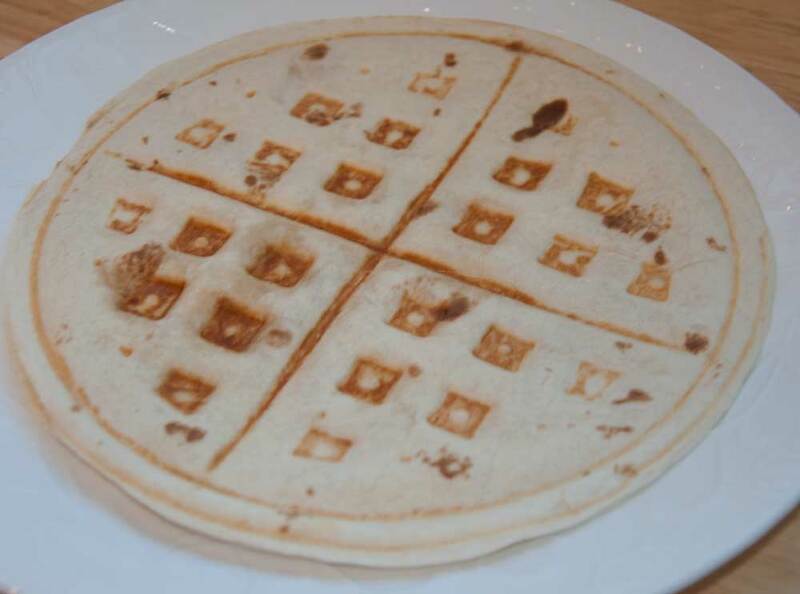 Press waffle iron closed and cook until golden brown. 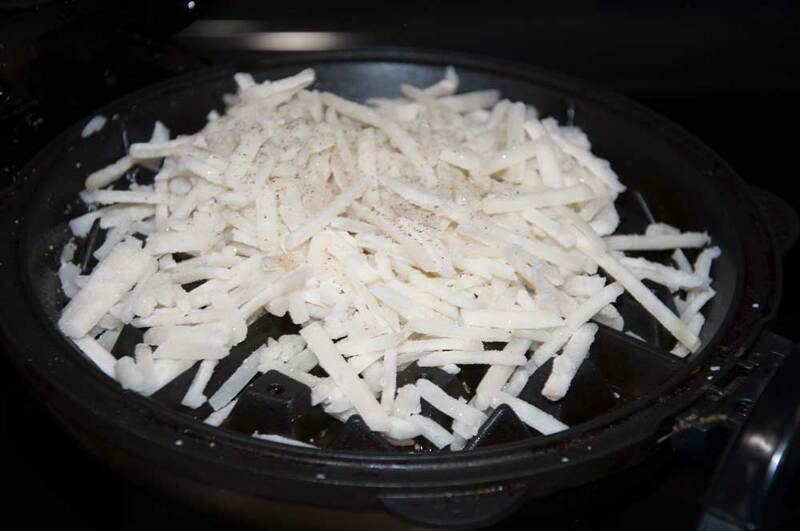 Using frozen shredded potatoes, Add onto a hot waffle iron. Sprinkle with seasonings. Cook until golden brown. Corn dogs in the waffle iron- Use corn muffin mix and add chopped hot dogs into the batter. Pour on hot waffle iron. Cook until firm.